People frequently ask us what, if any, requirements have been set for X-ray shielding in rooms where C-arms are in use. Unfortunately, there is no straightforward answer to the question. Regulations for shielding during C-arm use vary across a number of factors, including site location, location of the C-arm within the site, and the type of usage the C-arm will see. Some states don't require any shielding at all, but have other requirements that must be met. 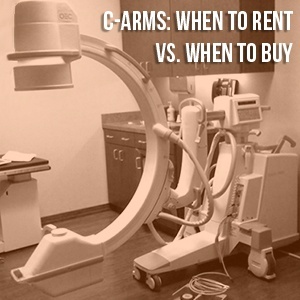 Take Texas, for instance: a C-arm doesn't need to be shielded, but its dose must be monitored for a year after installation. Other states, like Ohio, require a physicist to visit your site and advise specific shielding measures for your individual building. 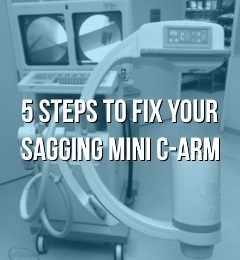 Because there are no across-the-board regulations for C-arm shielding, we put together a few "rule of thumb" recommendations for new C-arm owners in the short video below. Over the last seventeen years, Genoray has been developing and releasing increasingly sophisticated C-arm systems and gradually increasing their presence in the market. It's been a bold endeavor, considering the stiff competition from longer-standing C-arm manufacturers like OEC and Siemens, but as more recent iterations of their equipment begin to emerge on the secondary market, Genoray systems have shown our team and our customers that they are well worth considering alongside names you might be more familiar with. To help inform you as you explore the options for your next C-arm solution, we've put together a brief video overview of the specifications, user experience, and overall value of Genoray's Zen 7000 C-arm. 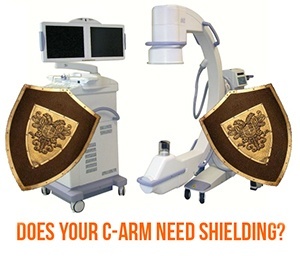 The OEC 9800 is a stalwart, go-to C-arm system in thousands of hospitals and clinics, and if you look into the C-arm marketplace for even a minute, refurbished 9800s will be one of the first few systems you see. Of course, the notoriety of an established system doesn't mean that relative newcomers don't have anything to offer your facility. 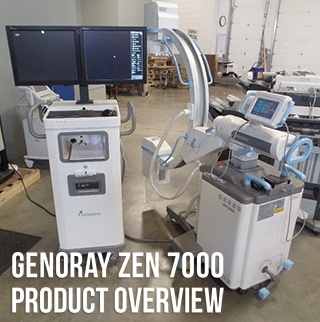 This is precisely why we'd like to share more with you about a model that has found its way onto the secondary market in more recent years: Genoray's Zen-7000. Watch the brief video clip below to see how the OEC 9800 and the Genoray Zen-7000 stack up in terms of features, performance, and user experience.